Every woman wants to look fashionable when traveling but doesn’t want to carry a giant suitcase full of clothes. At least I know I don’t. This is when travel capsule wardrobe concept comes in handy. A capsule is a limited set of clothing from which you can build a huge set of clothing by mixing and matching. It basically means less packing and debating what to wear every day on your vacation. While you can construct your own capsule wardrobe from clothes that are already sitting in your closet, but you can also use ready-to-go sets from Vacay. 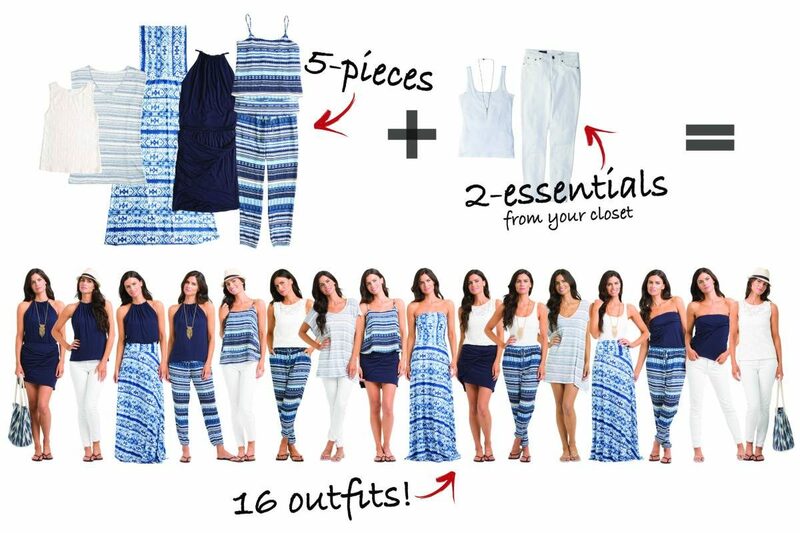 Vacay offers a mix & match outfit collections that consist of 5 items. Those 5 items, combined with two basics from your wardrobe (for example, a basic tee and white jeans), can create up to 15 outfits that save you space in your luggage. Vacay is designed to be versatile, so even if you want to try out one or two pieces, you still get a ton of new looks. I got their Santorini collection as I love to wear blue clothes, but you can mix items from other collections as well if you prefer. They currently offer 9 different sets. Vacay also offers free shipping and returns (in the US) and delivers worldwide, so all items can be tried out completely risk-free. All the items I received are soft, but more importantly, the majority of them are wrinkle-free, so you don’t have to worry about needing an iron on your vacation. I particularly loved their white shirt and maxi dress! They fit just right for my Hawaii getaway. I wore a maxi dress to the beach and then combined it with a shirt for the afternoon and I actually ended up wearing Vacay shirts back home in Los Angeles as well. I mean, why not? These items could surely last for a few years. Keep reading for an additional discount on Vacay at the end of the post. Each Vacay clothing set comes with a helpful wardrobe card that illustrates the different outfits you can make with the collection. The possibilities for different outfit ideas are endless, so don’t worry about running out of your travel clothes. VacayStyle manufactures in California in independent sewing shops. The creator, Elizabeth, came up with the idea after moving aboard a 38′ sailboat for her honeymoon and sailing halfway around the world to Australia. Needless to say, the necessity to fit everything into a tiny boat storage, combined with a will to look fashionable, resulted in a creation of the perfect capsule wardrobe. Use exclusive code ANNA for 30% off your order with VacayStyle (valid until the end of Feb). The Vacay brand is perfect anytime, whether you’re on vacation or going for a casual lunch with your friends! You must try this collection, especially while the weather is still warm! Let me know in the comments which collection is your fave! Have you tried a travel capsule wardrobe? This post is sponsored by Vacay, however all opinions, as usual, are my own. Previous Post I Traveled to the Maldives Alone and It Was Great! Next Post Should Travelers Eat Controversial Local Food Abroad? $500 for 5 items? And that’s the “sale” price? The outfits are cute, but the entire collection could probably be assembled for 1/2 or even 1/5 of that price. What a great concept! I definitely am always trying to pack as light as possibly but still stay fashionable. I do have a few key pieces that I mix and match when I travel. These collections are nice, but I do agree with the comment above about the price being a bit much. I love this blog post and think easy yet stylish vacation clothing is essential. I recently went on my 10 year wedding anniversary to Sayulita, Mexico and tried Vacay for the first time. I packed my 5 outfits + 2 suggested essentials (replacing the jeans with jean shorts because I knew it would be too hot) and honestly really loved the clothes. Yes, $500 is expensive for a collection-BUT if you look at it per item, it is roughly $100/item and we are talking maxi dresses and jumpsuits, so you actually get a lot of bang for your buck. I also did wear each thing in multiple ways, so again, I felt like I really got my money’s worth. The fabric is nice-some of it did not come out of my suitcase perfect and unwrinkled, but after hanging for a day looked great. The prints were also nice and everything fit really well. I really liked my experience with Vacay and can honestly say, I think it’s worth trying for yourself because I have found that I’ve worn everything a lot further than just on vacation. I think you said it right. Whenever I am travelling short, I tend to carry minimal dresses. It serves two purposes – your luggage is smaller and you can freely move and still make a style statement. My girls think I am not fashionable because I don’t wear too much. Just going to show this to them and we’ll see. LOL. Thanks for writing, babes. its really an awesome detail thanks for sharing such an post actually I was thinking about the travel but A bit confused about the fashion and you have shared your thoughts and now i am cleared thank you. Such an informative post because whenever i want to travel, little bit confusion about costumes or clothes. Your outfits are cute and looks attractive! i am making my mind to purchase these clothes because i have a similar body measurement like you. 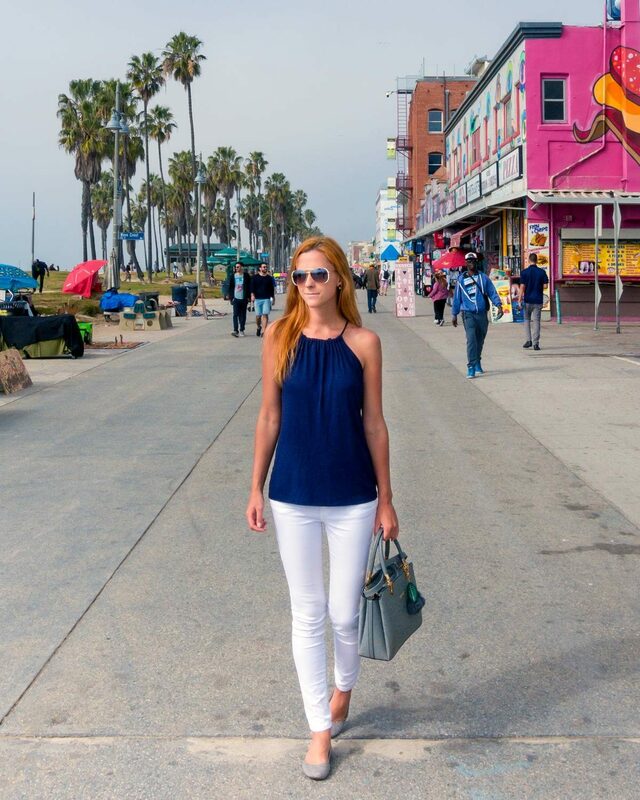 Basic pieces are essential when going on a trip, you can do so many looks with them. That blue skirt is so pretty.